Might Bite is the clear and obvious choice to get the better of his great rival Native River in Haydock’s Betfair Chase. It was Colin Tizzard’s hugely admirable chaser who came out on top of course in a stirring race for the ages in last season’s Cheltenham Gold Cup, ultimately by a decisive four and a half lengths, from Might Bite. 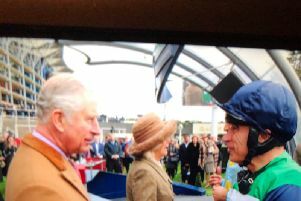 But that was only after a wonderfully uncompromising battle between the pair over the three miles two and a half furlongs of jump racing’s annual showpiece. 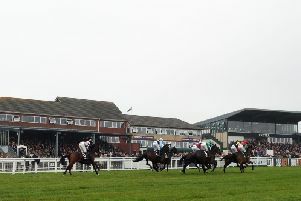 Haydock is a different, sharper test - and over a marginally shorter trip too and less tiring ground forecast, everything points to Might Bite. The market agrees, having made Nicky Henderson’s hope an even-money favourite under fit-again regular partner Nico de Boinville to prevail in the five-runner culmination of an outstanding card. Might Bite dispelled the predictions of many by shrugging off his Cheltenham exertions at the end of last season when he produced a commanding performance to beat Bristol De Mai and Clan Des Obeaux in Aintree’s Betway Bowl. Both reoppose in this weekend’s Grade One - and although the latter especially may well have improvement in him, like Tizzard’s returning 2016 King George VI Chase winner Thistlecrack, there is no reason to expect they will turn round their previous defeat at the hands of Might Bite. Half-an-hour earlier, we have another opportunity to see a young horse who himself promises to be a blue-chip chaser of the future. Paisley Park faces a tough test to give 12lb to favourite First Assignment in the Betfair Exchange Stayers’ Handicap Hurdle. But Emma Lavelle’s imposing six-year-old demonstrated significant progress to win a decent handicap off top weight at Aintree last month. First Assignment has caught the imagination, and attracted the money, of many by delivering twice at Cheltenham already this season - yet in Paisley Park, he may well meet his match. Ascot plays a high-class second fiddle to Haydock by staging both the Coral Hurdle and the Christy 1965 Chase, both coveted Grade Two prizes. It seems foolhardy to take on Willie Mullins’ brilliant mare Laurina in the former, but at a bigger price Benatar may be worth chancing in the latter. Gary Moore pulled the six-year-old out of last weekend’s BetVictor Gold Cup, and instead won that famous handicap with Baron Alco. He quickly nominated this race as Benatar’s next option - and although he will have to improve to win, and overcome his unwelcome tendency to pull too hard at times, the King George entry can signal a successful season ahead. Contrive can continue a golden autumn by winning for the third time in her last four runs in the Ladbrokes Bet £5 Get £20 EBF Fillies’ Handicap at Lingfield. Roger Varian’s three-year-old turned the corner when scoring over this mile in early October and has been a close second at Newmarket and successful at Kempton in two subsequent starts. A total rise of 9lb in that spell may not stop Contrive from carrying on the good work. Sir Thomas Gresham has been a shining star for trainer Tim Pinfield, winning both his outings at Windsor and Newmarket. The three-year-old colt could well complete the hat-trick in the Sun Racing No1 Racing Site Conditions Stakes when he steps up from six to seven furlongs. This looks like being his toughest task to date, but as yet he is unexposed and could prove a cut above this opposition. Red Impression looked good when making a winning debut at Kempton last month and can follow up for the Roger Charlton stable in the Ladbrokes Bet £5 Get £20/EBF Stallions Novice Stakes. ASCOT: 12.20 Stoney Mountain, 12.55 Merry Milan, 1.30 Petticoat Tails, 2.05 Benatar, 2.40 Laurina, 3.15 Duke Of Navan, 3.50 Roccowithlove. GOWRAN: 12.05 Lever Du Soleil, 12.35 Sinoria, 1.10 Entoucas, 1.45 Warnaq, 2.20 Wishmoor, 2.55 A Plus Tard, 3.30 Baby Jake. HAYDOCK: 12.10 My Way, 12.40 Zerachiel, 1.15 Full Glass, 1.50 Admiral Barratry, 2.25 Paisley Park, 3.00 MIGHT BITE (NAP), 3.35 Takingrisks. HUNTINGDON: 12.00 Third Wind, 12.30 Jet Set, 1.05 Starjac, 1.40 Collodi, 2.15 Baron Du Plessis, 2.50 Downloadtheapp, 3.25 Simply Loveleh. LINGFIELD: 11.45 Contrive, 12.15 Feel The Noize, 12.50 Chica De La Noche, 1.25 Sir Thomas Gresham, 2.00 Red Impression, 2.35 Captain Lars, 3.10 Ban Shoof, 3.40 Visor. WOLVERHAMPTON: 5.15 Napping, 5.45 A Sure Welcome, 6.15 Sunday Prospect, 6.45 Comporta, 7.15 Alhaazm, 7.45 Pour Me A Drink, 8.15 Fume, 8.45 Lucky Lodge.